Dr. McWey is the Chief of Medical Imaging and a 32-year member of Virginia Hospital Center medial staff. He is board-certified in Nuclear Medicine, Diagnostic Radiology, and Interventional Radiology. He is also the Director of Interventional Radiology and has experience in interventional procedures including TIPS, chemoembolization, biliary and vascular stents, varicose vein treatment, endovascular thoracic-abdominal aneurysm therapy, vertebral augmentation, endovascular stroke therapy, and the vascular lab. Dr. McWey has been a member of the Virginia Hospital Center medical staff since 1987, the Clinical Director of Medical Imaging for 22 years, and a member of the Hospital’s Board of Directors since 2005. He has served on multiple medical staff and Board committees and has been a member of the Medical Executive Committee for 20 years. Previously he has also served as the Hospital Radiation Safety Officer and the Hospital’s Chief Medical Information Officer. Dr. McWey has B.S. and M.S. degrees in Electrical Engineering and served in the U.S. Naval Submarine Service for seven years as a nuclear engineer and line officer prior to attending medical school in Charleston, S.C. in 1979. 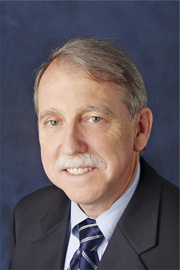 Dr. McWey served as Chief Resident in Radiology at the Medical University of South Carolina in 1986-87 prior to his arrival at the hospital.